Manufactured in vandal resistant polycarbonate. 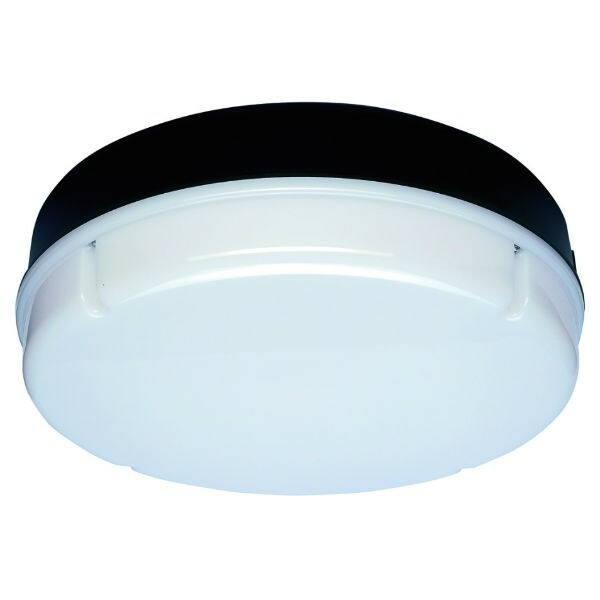 Black base, Opal coverTakes up to 100W Bayonet (B22) lamp or low energy equivilant (lamp not supplied)Suitable for internal or external use. Wall or ceiling fittingIP44 Rating. “F” marked, CE and BS EN 60598-21Rated for continuous useQuick Fit clip on coverDimensions: 230mm diameter (cover), 214mm (base) x 106mm deep.